AICO TV Armoire Cortina AI-N65081TB. Discover elegance in every curve of the Cortina® collection. From the graceful lines of its deep carvings to the crowning feature of its marble cameo, every inch of Cortina® exudes a stately presence. Sturdy metal footings, beaded glass, and triple marble are design elements that add to Cortina's kinetic appeal. 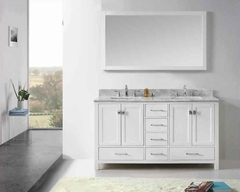 Cortina® draws its inspirations from the Italian city of Cortina® d'Ampezzo, the breathtaking beauty of the mountain ranges, and the wide rivers of Northern Italy. Cortina® has long been the location for many movies, and the place of destination for many celebrities. Carefully crafted using Birch Solids, and Cherry and Mapa Burl Veneers, this collection stands out among others. Embraced in a Honey Walnut Finish that whispers of calm and serenity, Cortina® is truly a work of art, waiting to complete your home. 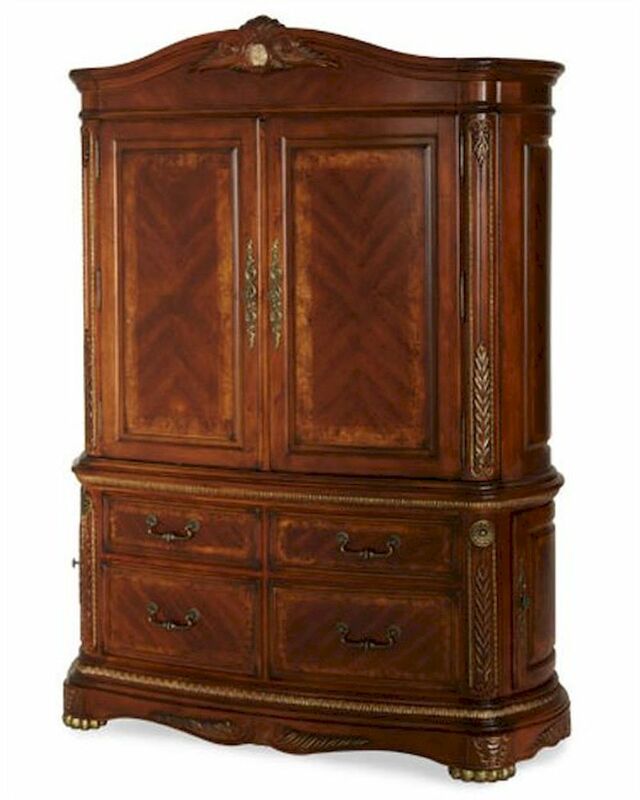 1 x TV Armoire Top AI-N65081T-28. 1 x TV Armoire Base AI-N65081B-28. Cherry and Mapa Burl Veneers.